Endless Fondue is Back at the Melting Pot!!! Hey there folks! Jerm here with an awesome update for you! Our friends over at the Melting pot of Tampa Bay wanted to give a little New Year&apos;s Gift to you - Endless Fondue is back for a limited time! 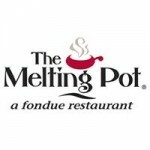 Join us at The Melting Pot to eat your heart out with endless fondue for only $39 per person! As you can imagine, a deal like this will have everyone in town rushing over to the Melting pot, so I suggest you make your reservations asap, because Endless Fondue reservations don&apos;t last long! Be sure to check back for more on Tampa Bay dining and Tampa Bay area events!